Health packed meal means the one loaded with fruits and vegetables. The health conscious person would never miss out on daily dose of leafy vegetables, citrus fruits, apples, and berries but now on it is time to add onion to the list. Onion, the purple wonder is the part of Allium Genus family which also includes other super foods like chives, scallions, leeks, and garlics. We have seen onion just as the taste enhancer of curries and condiments but once you will know the several benefits of this humble vegetable, you will fall in love with it even more! Sounds strange! But onion really fights heat and cold. In summer time, the Sulphur rich onion would keep your body cool and regulate the heat effectively, thus would protect you against sun-stroke. 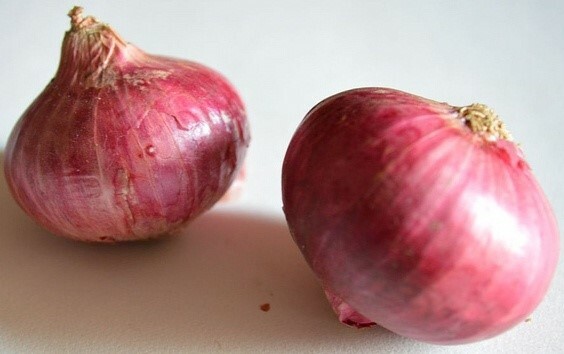 Similarly, during cold winter time, onion would protect you against cold and flu attacks. It has strong anti-viral properties that will work against flu virus. Onion is loaded with phyto-chemical compounds Allyl disulphide and allium which gets converted into allicin because of the cutting and crushing of the leaves. Allicin has anti-mutagenic properties that fights against the cancer cells. Research has also shown that this compound controls the blood sugar levels due to its uniqueanti-diabetic properties. Like all other vegetables of Allium Genus family, onion has also shown positive results for those suffering from hypertension. Allicin reduces the stiffness of blood vessels and hence regulates blood pressure levels. The platelet clot formation is checked because of onion and would act as savior for those at risk of peripheral vascular disease (PVD), coronary artery disease (CAD), and stroke. Onions have remained the staple food of many countries since 1000s of years. Having onion with your meal will release the digestive juices and would speed up the digestion process. It has anti-microbial, anti-viral, anti-bacterial, and anti-fungal properties that would work against the food-borne illnesses. Like garlic, you can also include raw onion in your salads to increase the level of HDL and reduce the level of LDL. Allicin will bring down your LDL levels to healthy range and would bring down the possibilities of cardiac issues. So, now on it should not just be “an apple a day, keeps a doctor away”, as onion a day would also work for keeping illnesses at bay!